Mercedes confirmed on December 21st, 2009 that Michael Schumacher will make his return to Formula 1 to race for the Mercedes GP Petronas team along side Nico Rosberg. 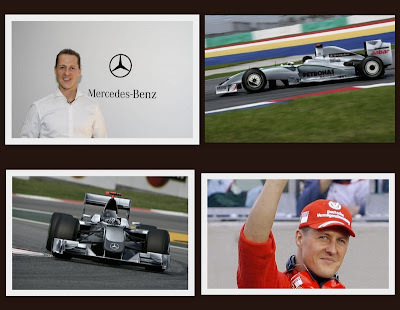 Schumacher retired from racing in 2006, and has signed a deal that will see him return to the Formula 1 grid at the age of 41. This season Schumacher has a chance to add to his record tally of 91 wins and 7 world titles....This will be quite an amazing F1 season!